I'm frequently importing curves from MoI 3D into Affinity Designer using the PDF clipboard, and since the latest Affinity Designer update(s) (at least 1.6.5.123) a PDF pasted from the clipboard can turn out tilted in some cases. This behaviour didn't happen in Affinity Designer version 1.5.0.36 and earlier. I've attached a screenshot to clarify what happens. The MoI rectangle consists of basic 2 point lines with corner vertices. A standard MoI rectangle shape does paste correctly. The tilted orientation becomes apparent when selecting the actual shape layer, not the automatically created parent group after a clipboard paste. It might be the result of a new feature in Affinity Designer, the start point of the rectangle is in the bottom right corner and maybe you are using a line between the object centroid and its starting point as the initial rotation. Would you be able to attach a copy of the PDF you are using to import please that shows this issue (and if possible the MoI file)? Just tried this myself using File > Export in MoI and it imported without a problem for me! I've attached the MoI 3DM file containing the custom rectangle. 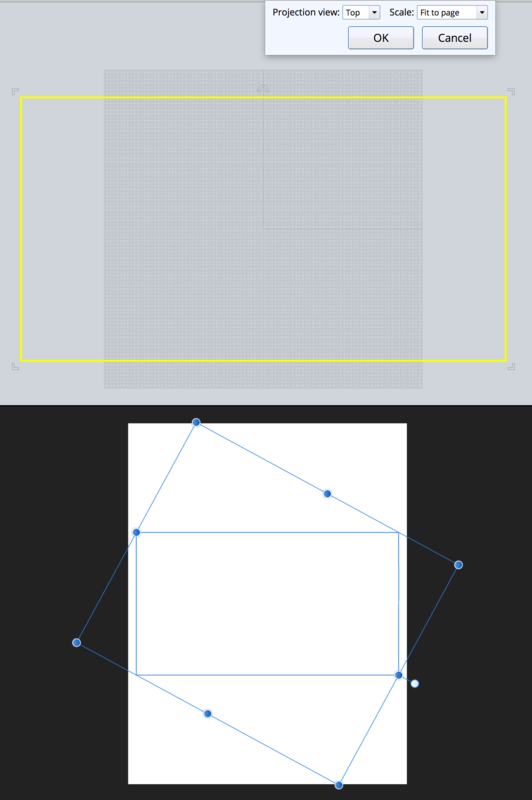 A standard Rectangle shape in MoI does import correctly into Affinity Designer, but this is a custom rectangle, built from joined straight lines in MoI. Then paste the clip into Affinity Designer. The rectangle should have the tilted bounding box. A parent layer is automatically created in Affinity Designer, but you'll have to select the child layer (the actual shape) to see the tilted rectangle bounding box. Here are a couple of posts about this issue at the MoI forum. MoI's developer Michael Gibson shares some of his thoughts about this there. Thank you very much for the files! I've now reproduced the issue and can confirm that it was indeed working in 1.5.3. I've got this passed onto development. Glad to be of help, and good luck!